Hybrid Events: The new crop of conferences. We recently attended the Virtual Edge Summit, where the big buzz centered around "hybrid events". We have hybrid corn, hybrid pets, hybrid cars...in this modern day and age, it was only a matter of time before we got the hybrid event. So what the heck is a hybrid event, anyway? 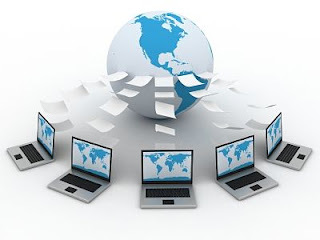 The event can be simultaneously broadcast--streaming from the live on-site event to the virtual event site online in real-time (in theory, both in-person and virtual attendees get the same content). The live event can be re-played in the virtual space on a delay or with additional content. The virtual event can supplement the live event--adding only additional content to the event, giving attendees a richer experience before or after the live event. The main fear of event producers with the advent of the virtual event and hosting a hybrid event is that the virtual component cannibalizes attendance at the live event. I can see where this would be a concern, but initial forays into event hybridization have shown that: A) People who weren't going to attend an elective conference in person still won't attend in person; B) People who really wanted to attend in person will still attend in person; but it adds another component C) People who weren't going to attend in person might check out a virtual event and people who wanted to attend but couldn't now have that option to them open as well; and D) Virtual events can create buzz for the in-person event, increasing attendance there, too. While we see the promise in hybridizing events, there's a danger in thinking that a broadcast of a live event is an adequate virtual event. A death-by-Powerpoint situation in a live setting is not improved by moving it into the virtual space. In fact, it's more difficult to capture and retain the attention of your audience when they're in front of their computer--one of the biggest distraction-makers and multi-tasking tools out there. So while the future of a hybrid event is bright and undeniable, this is a prime opportunity to rethink the presentation of content and to tailor it for a broader virtual space.